Associated health plans and self-insurance programs are increasingly part of the healthcare marketplace and they are leading a movement of comparative shopping for medical care and prescriptions . Over 90% of patients want to know what their costs will be for care prior to service. In January 2019 a federal requirement insists hospitals list their service prices on the hospitals website. Unfortunately, the prices are not the same across the board and there is not an industry standard service list readily available. The price lists do not include the cost adjustments that insurance companies contract. As a Medical Insurance Advocate, I know from first hand experience, that these prices can and should be negotiated. One of the unknown secrets behind high medical costs, is the margin for negotiating them based on industry cost standards. The uninsured and patients with high deductibles can negotiate medical bills, similar to an insurance company negotiating for care for one person with an out-of-network doctor. Due diligence from patient buyers is necessary to get the best care and each health provider is different. Spending for hospital care was $1.1 trillion in 2017 while spending for physician and clinical visits was $694.3 billion. With 10% of healthcare costs being covered out-of-pocket, patients are making contracts with physicians, clinics and boutique providers for care in an effort to decrease unexpected costs. These types of contracts are revealing a market of monthly membership plans that incorporate unlimited care visits, basic lab tests available in offices, house visits and even nutrition programs that incorporate shopping with a doctor and weekly walks. These offices are also actively creating departments to help patients apply for health insurance or be part of cost saving programs that are based on income for payers. These programs are diamonds in the rough of medical providers and patients must be certain that the provider works with insurance so any out-of-pocket payments do go towards an insurance deductible. Although it may seem tempting to pay for care out of pocket completely, it is extremely risky and care becomes limited based on personal finances. While hospitals are required to have price lists for service available, physician offices do not. Health providers in small offices only have to provide patients with some fundamental information that lets the patient know if getting care from that physician is covered by their insurance. That is why shopping around for the office or clinic that provides the most comprehensive services may be in a patient’s best interest. Many doctors provide insurance and care information online, at their front desk and the office receptionists can be a wealth of information. It is in the best interest of doctors to make sure that patients can cover the cost of their care either through insurance or through a discounted personal payment plan. When a patient is financially insolvent, the doctor may accept the insurance payment without additional payments and write-off the remainder to settle the matter. If all parties are proactive in negotiating the cost of care, and are clear about who is responsible for costs in the beginning, bills can be manageable. To assist patients in determining if care is covered, physicians must inform patients about the participating Health Plans that they work with, any hospital affiliations, the services that the physician offers, any associated anesthesiologists, labs, pathologists, radiologists or assistant surgeons. Physicians must also give very detailed referrals for care. If this information is not available the physician risks violating their contract with participating insurance companies and even state regulations. 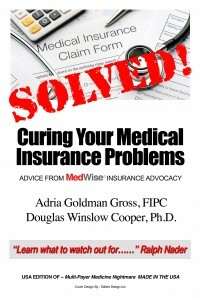 A physician cannot accept insurance if they are not properly licensed and they usually have issues with practice insurance if something goes wrong. One of the first ways patients can start protecting themselves and researching the doctors that they want to work with is to check their license. From there it is a matter of looking up care prices for major medical services and continued care. Working with an insurance advocate to negotiate these costs at the onset of care can save patients thousands as they build positive relationships with their care providers and insurance companies.